A growing stack of companies would like you to pay a monthly fee to read e-books, just like you subscribe to Netflix to binge on movies and TV shows. Don’t bother. Go sign up for a public library card instead. 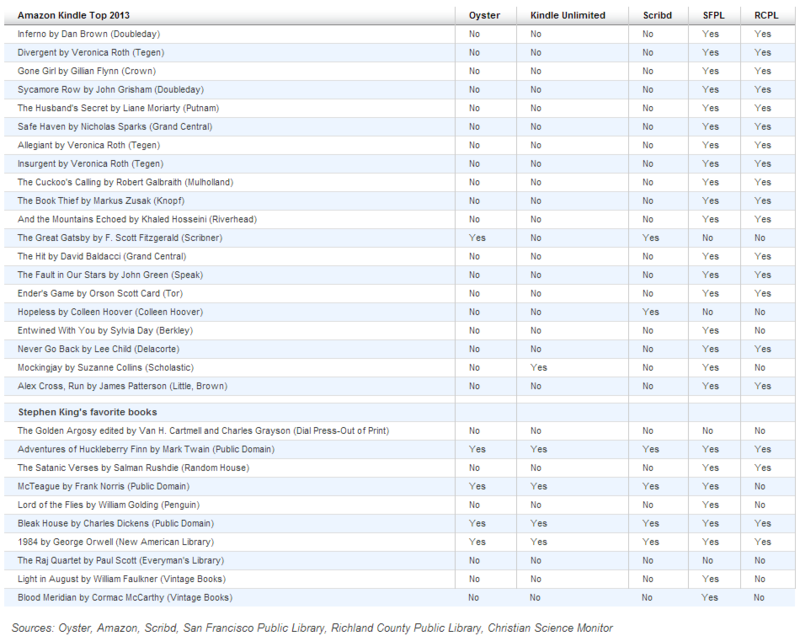 Really, the public library? Amazon.com recently launched Kindle Unlimited, a $10-per-month service offering loans of 600,000 e-books. Startups called Oyster and Scribd offer something similar. It isn’t very often that a musty old institution can hold its own against tech disrupters. But it turns out librarians haven’t just been sitting around shushing people while the Internet drove them into irrelevance. 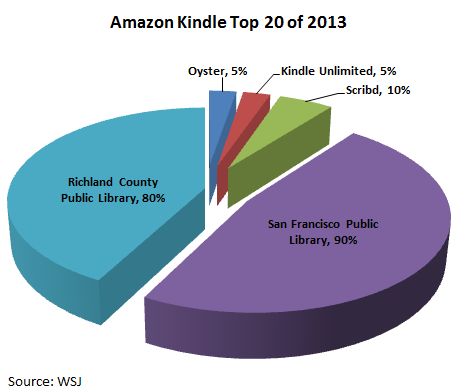 More than 90% of American public libraries have amassed e-book collections you can read on your iPad, and often even on a Kindle. You don’t have to walk into a branch or risk an overdue fine. And they’re totally free. Though you still have to deal with due dates, hold lists and occasionally clumsy software, libraries, at least for now, have one killer feature that the others don’t: e-books you actually want to read.